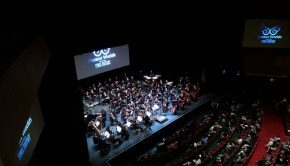 Behind acclaimed productions such as Symphonic Fantasies and Symphonic Shades, Thomas Boecker has been producing Symphonic Game Music Concerts since 2003. The artist is currently working on a number of new concert projects and recordings, which he will discuss across a two part interview with us. In the first instalment of the interview, Thomas Boecker exclusively reveals his next brand new concert: Final Symphony. He gives various details on what inspired the concert and who is participating in it. Set for premiere in 2013, could this concert be his last? Chris: Thomas Boecker, thank you for speaking to us today to introduce your latest concert. Can you reveal to listeners what is Final Symphony? Thomas Boecker: Thank you very much for the opportunity to introduce our new project! In a nutshell,Final Symphony (working title) is a unique orchestral concert dedicated to Final Fantasy. It will feature music from Final Fantasy VI, Final Fantasy VII, and Final Fantasy X in entirely new, elaborate arrangements. The production is officially licensed and supported by Square Enix. 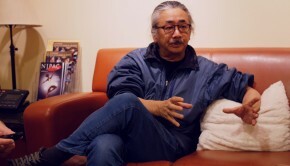 Nobuo Uematsu, who is the composer of most of the music, is acting as a consultant of the project. Jonne Valtonen and Roger Wanamo will create the majority of the arrangements, while Masashi Hamauzu will also take a major role. Maestro Eckehard Stier will be the conductor of our choice — the whole team was incredibly impressed by the excellent job he did on Symphonic Fantasies Tokyo beginning of the year. Last but not least, we are also very happy to welcome Benyamin Nuss again as our pianist. Chris: Final Fantasy has been prominently featured in other productions you have been involved in, including Symphonic Fantasies, Symphonic Odysseys, and the tour Distant Worlds. What inspired you to revisit the series with a further concert? What will be different in Final Symphony? Thomas Boecker: The idea goes back to 2009. After Symphonic Fantasies, Nobuo Uematsu talked to me in Cologne, saying that he liked our unique approach very much, and that one day, he would love to see more of his Final Fantasy music arranged in a similar style. This set the ball rolling. Later that year, I introduced the idea of Final Symphony to Nobuo Uematsu, and he immediately gave his blessing. I also met with Square Enix around that time, and besides the Symphonic Fantasies Tokyo proposal that I presented, they showed great interest in Final Symphony too. I guess this might already tell one or two things about the differences. As previously mentioned, we concentrate on three parts of the series exclusively, which gives us more freedom for using Final Fantasy music never or seldom heard in a concert hall before. The approach is more classical than pop. We do not use video screens. Final Symphony is not meant to be competition to Distant Worlds — it is simply a different take on the music of Final Fantasy. Chris: What inspired you to focus only on a few games, and why these in particular? Does it reflect your desire to tell their stories, not simply feature fan favourites? Thomas Boecker: Please allow me to explain by using the example of Final Fantasy VII, although our approach is basically same for the other parts of the series as well. Currently, the music from Final Fantasy VII performed in concerts focuses on battle themes. I admit, I am not free of guilt —Symphonic Fantasies and Symphonic Odysseys also did. But that game describes a dystopia with a strong, mature story rarely found in games to this extent, with complex characters. While we do not exclude battle themes from our performance, I feel that the game’s dark, romantic, melancholic, and hopeful story needs a better orchestral presentation to express what this game is all about. So Final Symphony is indeed about telling the stories of the games, or the focus on certain scenes or happenings featured. The balance is very important to us, so that we can capture the atmosphere of the games. We believe that said balance can be only achieved by limiting the number of featured Final Fantasy parts to three. For our unique approach, VI, VII and X appealed the most to us — for many reasons, the attractive musical content being one, the apparent lack of balance at previous presentations being another. Chris: Your concerts have always been known for their ambitious and creative arrangements. Can you reveal to us how the arrangers will approach Final Symphony? Are you excited about reuniting with Jonne Valtonen and Roger Wanamo once more? Thomas Boecker: It simply is the best possible scenario for me, personally. Or in other words, without Jonne Valtonen and Roger Wanamo, I would feel no need to produce Final Symphony at all. It is the mastery of the original composers combined with the outstanding skills of Jonne and Roger that make our productions what they are. We are now looking back on Symphonic Shades, Symphonic Fantasies, Symphonic Legends/LEGENDS,and Symphonic Odysseys. There is great experience our team gained by arranging especially the music from Nobuo Uematsu. Besides, we had fantastic opportunities to stretch our musical visions, to look at what works — and what does not. For Final Symphony, we developed a concept that allows creating ambitious and creative arrangements once more, without losing the original games’ themes and spirit. We will take what worked best at our previous concerts, and improve on it further. Chris: You are working closely with the original composers of these titles, Nobuo Uematsu and Masashi Hamauzu, on this concert. What will the involvement of these artists bring to the production? We’re especially excited to learn more about Masashi Hamauzu’s role on the Final Fantasy X item. Thomas Boecker: Masashi Hamauzu’s work on Final Fantasy X is of course featured in Final Symphony, which makes a very unique treat for his fans. For our concert, he will arrange his own compositions from the title, as well as music from the game composed by Nobuo Uematsu. 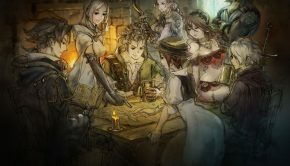 Nobuo Uematsu will support the project as a consultant. He agreed on giving his advice and his opinion whenever we approach him for help. To us, it is very important to know he is involved with Final Symphony. Probably needless to say, but whenever schedules allow, both composers are very eager to attend the concert in person. This is a great honour to us, and it adds a lot to the atmosphere of the performances. Chris: The name Final Symphony is bound to open speculation that this will be your last. Do you care to comment on this? Will your tenth anniversary concert mark your retirement from producing? Thomas Boecker: I talked quite a lot about taking a break in the past, and certainly 2012 is the first year with less new concert content compared to before. This was needed in order to follow my dream of presenting a performance in Japan, which took much work and time. Final Symphony is an intense production as well, making us busy the whole year until completion. Somehow, there was always something that got my attention and made me excited again. In 2008 it was the opportunity of working with the WDR that was eye-opening and motivating. 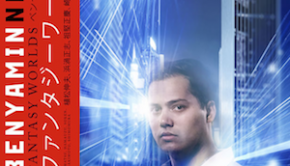 In 2012, something very similar happened with Symphonic Fantasies Tokyo that was so inspiring and incredible as an experience for the whole team. We are using the energy we gained from this production for — at least — Final Symphony. The concert’s world-premiere is scheduled for the first half of 2013. More details will follow shortly. We are expecting tickets to be on sale summer/autumn 2012. Posted on May 8, 2012 by Chris Greening. Last modified on March 2, 2014.